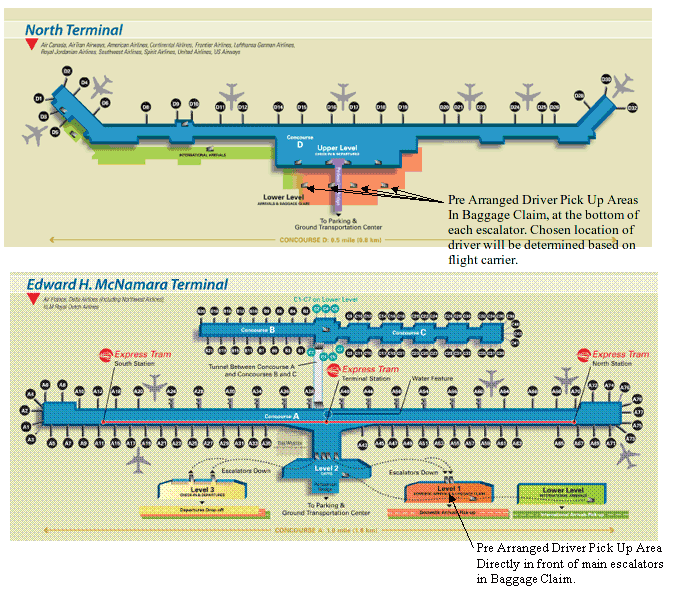 The Pre-Arranged Driver Pick up areas are in BAGGAGE CLAIMS only. If you have only check on luggage please remember to proceed to baggage claim to meet your driver. Your MGC uniformed driver will be waiting to greet and assist you with sign in hand with your name on it. Please see Pre-Arranged Driver Pick Up Areas below.